Practical, roomy bag. It has 2 zipped internal pockets, an open internal pocket and a phone pocket nestled between the two sections. It features a top handle and detachable, adjustable shoulder strap, plus a classic nickel turn catch fastener. 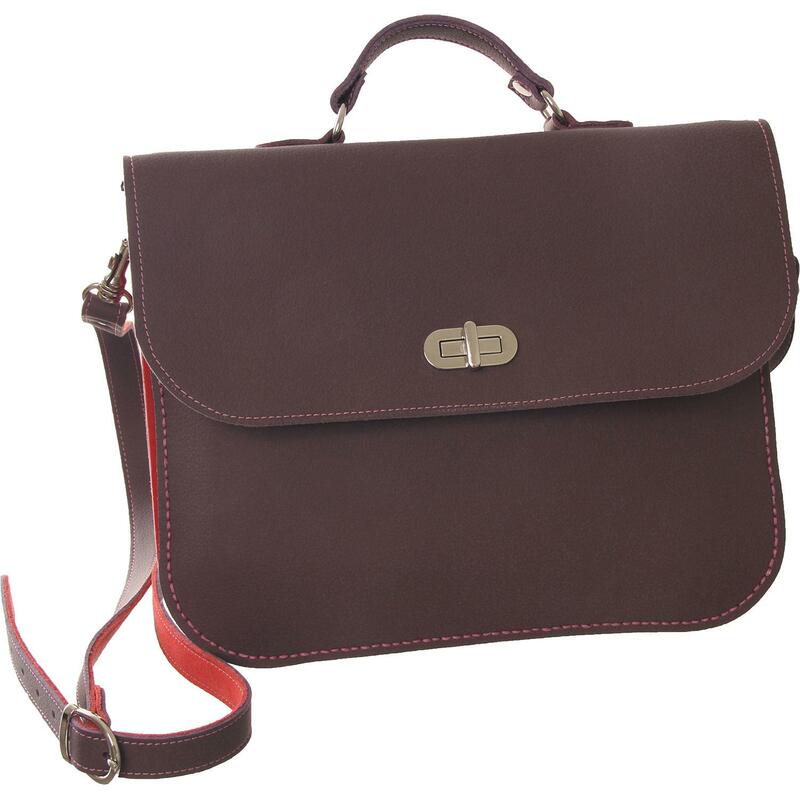 Shown here in Claret with Dark Rose - this bag can be as colourful as you only want it to be.